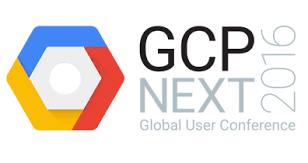 GCP Next 2016 was held at Pier 48 in San Francisco this past week. It was a conference focused on developing on the Google Cloud Platform attended by developers, managers, and Google Cloud Platform partners. Overall, the conference was filled with loads of good information about developing on GCP. Here are my key takeaways from the conference! Google started the two-day conference with a bang. Sundar Pichai, Eric Schmidt, and newly appointed of Senior Vice President Diane Greene led the opening keynote. They detailed expansions to their platform and new services that will be available for developers everywhere. Their presence at the keynote highlighted the importance of the Cloud Platform to Google; it’s clear that they are trying to make a push to attack the Public Cloud Hosting space. Eric Schmidt’s notes during the keynote were especially interesting and funny (he mentioned several funny internal Google Product Names). Additionally, Google made it very clear their platform is enterprise ready and tested. With guests from companies like Disney, Spotify, Apple, and Coca-Cola, they made it clear that the platform can scale for any business. That being said, even though Google made it very clear that their platform can handle the biggest computing needs, I found it comforting that they acknowledged that GCP is built for any sized business. 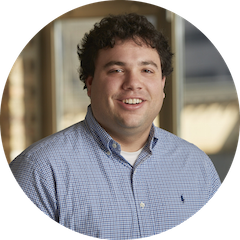 At Cloudbakers, we’ve found that smaller companies can benefit the most from Google’s scale. The price to run applications can be free to a few dollars a month for small-medium sized applications. This was first and foremost a developer conference. From live demos to live coding in almost every talk I went to, developers were clearly the focus of the conference. For me, I had two big takeaways: Stackdriver and IAM profiles (finally). Stackdriver was acquired by Google in 2014 and has slowly been integrated into the GCP console. Just last week, they released the “Error Reporting” module to all GCP users. This page gives you a high-level glance at all errors in your application. This page is super helpful for projects where the logs are too big for actually debugging. Clicking into the error will present more detailed stack information. You can even link your bug tracking system by clicking the bug icon on the right hand side of the page. IAM profiles have been a very important feature of AWS for a long time and have been a big request by users of GCP. They allow for granular access rights to different services on GCP. Snapchat presented on how they’ve used the IAM profiles and the Google Cloud SDK to help improve their workflow. In true Snapchat fashion, they temporarily grant access users rights to deploy access, revoking only after the deploy was successful.